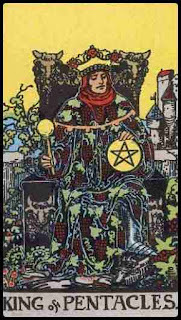 Personally, when I think of North Node in Leo in 2nd house (or some may also say North Node in Taurus in 5th house), I think of King of Pentacles … Ah, look at him. Such good quality and fine clothes he’s wearing. And look at that huge pentacles resting on his thigh. Such a understated yet clear symbol of his essence. And that solid marble fine glorious throne of his, with elaborate engraving and sculpturing of bulls. And the fine yellow sky, full of yang, fire energy. 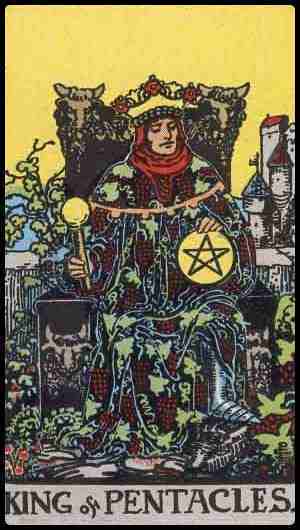 The King of Pentacles. I could go on and on about him. He’s my idol. My aspiration. My North Node. What about you? What is your North Node and which tarot card would you choose to represent your north node? Do you resonate with the card that you have picked? Help! I’m Morphing Into a Different Person!